Hi Tara! Congrats on the release of 7 Ate 9! Your stories always make me laugh and I particularly like the clever wordplay in this book and how it encourages kids to think about numbers in creative ways. Can’t live with them or can’t live without them? I'm supposed to answer with a pun, aren't I? Problem solvers or problem makers? For me, numbers have always been a problem. And then, they go mixing letters in! What does "e" mean anyway? I was absent that day in seventh grade. Who doesn't love letters...? They make words, which make sentences, which make stories, which are my favorite! Necessary. Who else is going to put two and two together? Watch them or avoid them? Love them. "Double Indemnity" is a favorite. Sailing the seven seas sounds delightful. Page-turners--so a little bit of both is necessary. 7 Ate 9 or 7 Ate 9? I think you know the answer to this one. I love all of Tara Lazar's quirky, clever books and this is no exception. I love how Tara takes this common joke and turns it into an incredibly clever story with engaging characters and a fast paced plot. Every spread has multiple puns and witty wordplay. The film noir illustrations enhance the already super fun storyline. This is a story that I've read to all of my children ages 6-15 and each of them chose to re-read it by themselves just to re-live the puns and find new secrets in the illustrations. I highly recommend this rollicking story! Love, love, love Tara's funny, punny PBs & 7 Ate 9 = another winner by a #1 author & one-derful person. LOL! Great quickie interview! Congratulations! Fun interview for a great book! Go, Tara!! 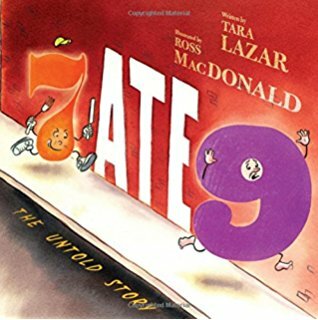 Can't wait to read 7 Ate 9 since it sounds so punny-funny!! Thanks for the great interview, Kirsti!! Punny interview Kirsti and Tara. Love your humor and books, Tara! The interviewer and interviewee are both awesome #kidlit folks. Love this! I can't wait to read 7 ATE 9. I'm sure my kids will love it too. Thanks! 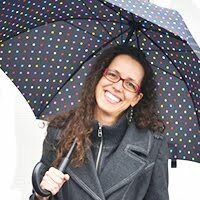 THINK QUICK with Author Tara Lazar is the perfect show for the kids to have a great knowledge and have a great intelligence, Great show!